Looking for a delicious dinner that cooks while you are out? 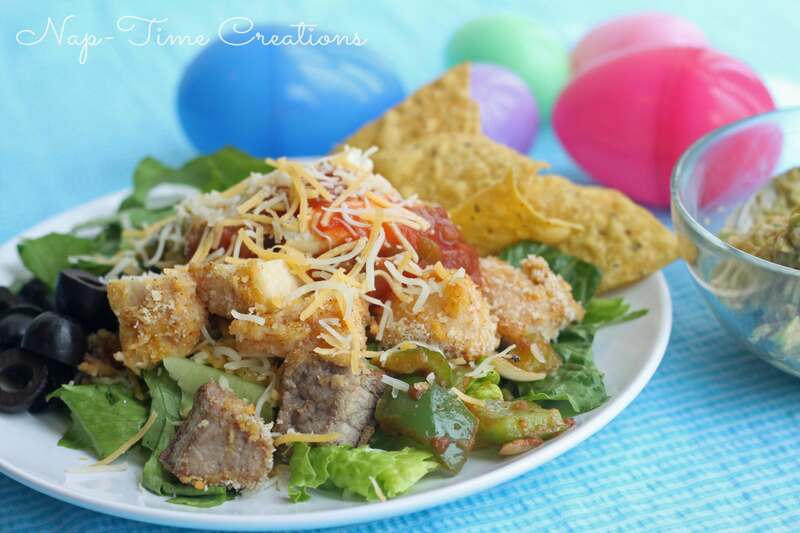 This Italian Quinoa Chicken Salad is made in the slow cooker then topped with Tyson® Grilled & Ready Chicken and flavored with Wish-Bone® Italian dressing. This quinoa salad is fresh, full of veggies, protein and flavor. You can customize the veggies for what your family likes and throw it all in your slow cooker. I cooked it overnight, but you can also cook it while you are gone during the day. 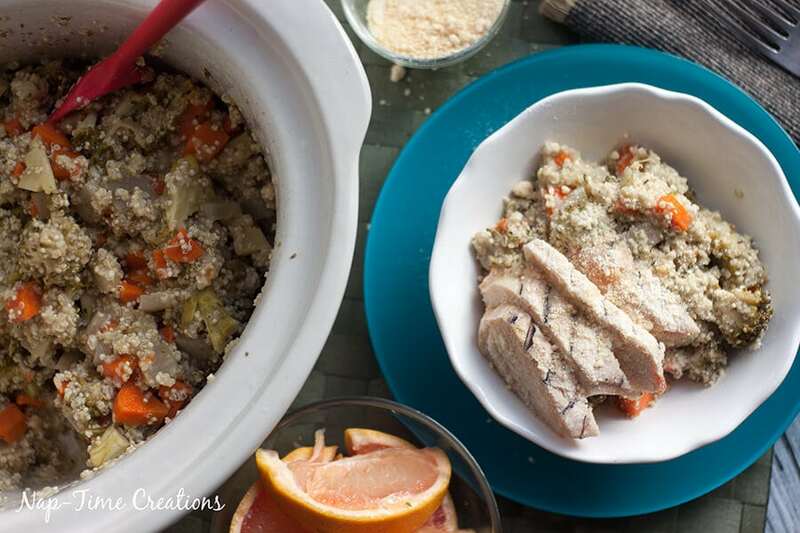 Have you made quinoa or rice in a slow cooker before? I hadn’t and I was so excited how well it worked and how the flavors blended. 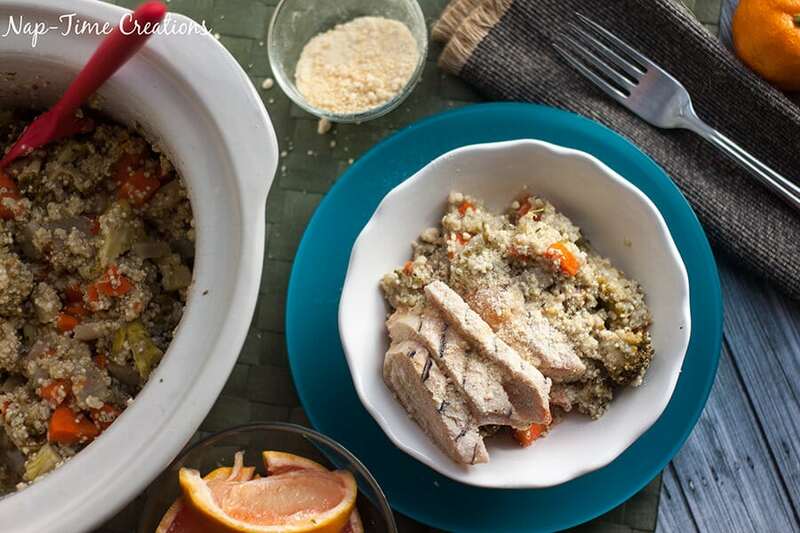 The slow cooker makes this dish easy- but, be sure that the Quinoa is put in first, so that it stays in the broth and will cook fully. You can add the veggies on top of the Quinoa and broth. Dish 1 cup of the Quinoa mix into a bowl and top with the prepared Tyson® Grilled & Ready chicken. 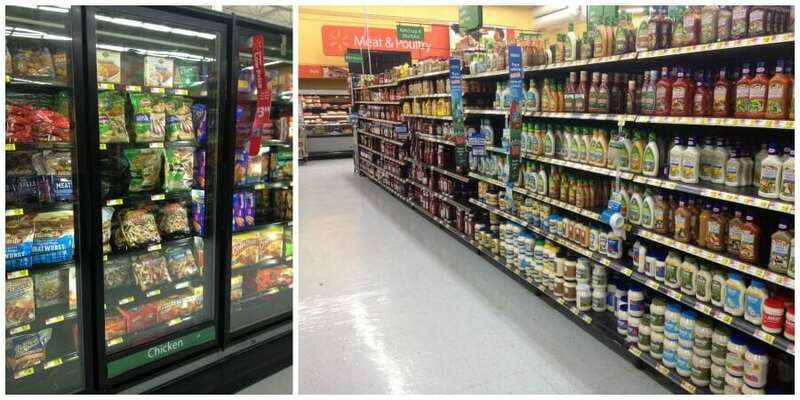 The chicken is fully cooked, has no preservatives and is made with 100% All Natural Ingredients and White Meat Chicken. 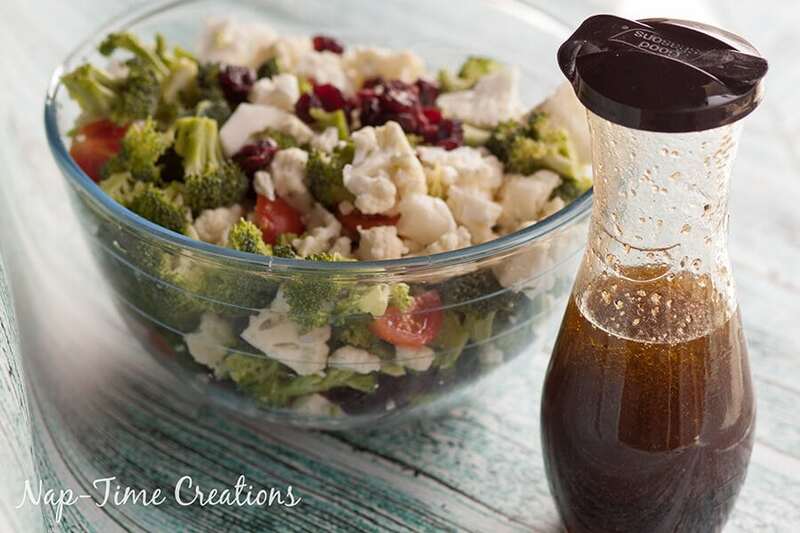 Add tasty Wish-Bone® Italian dressing for a tangy flavor packed with herbs and seasonings. YUM! I sprinkled a bit of parmesan cheese on top of it all and the result was so tasty. Full of flavor, veggies and tons of protein too. Each serving has 8g from the Quinoa and 19g from the chicken. 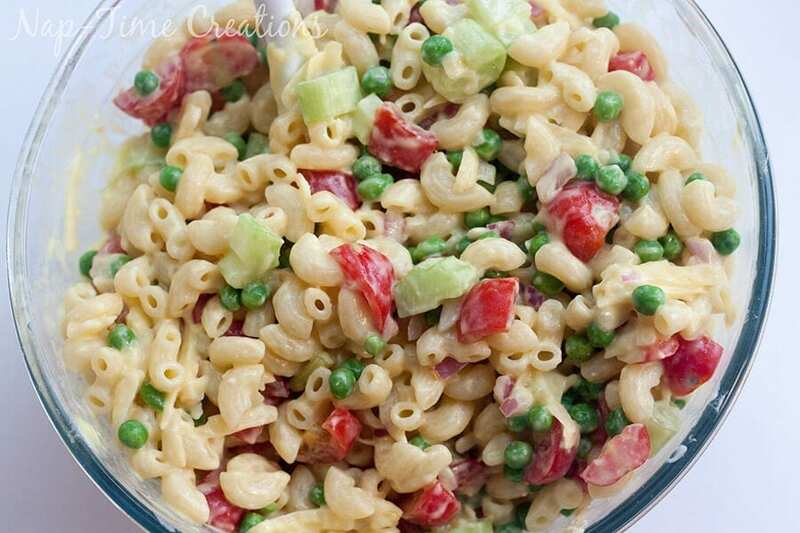 Filling and healthy, this salad is easy to make and great for the whole family. 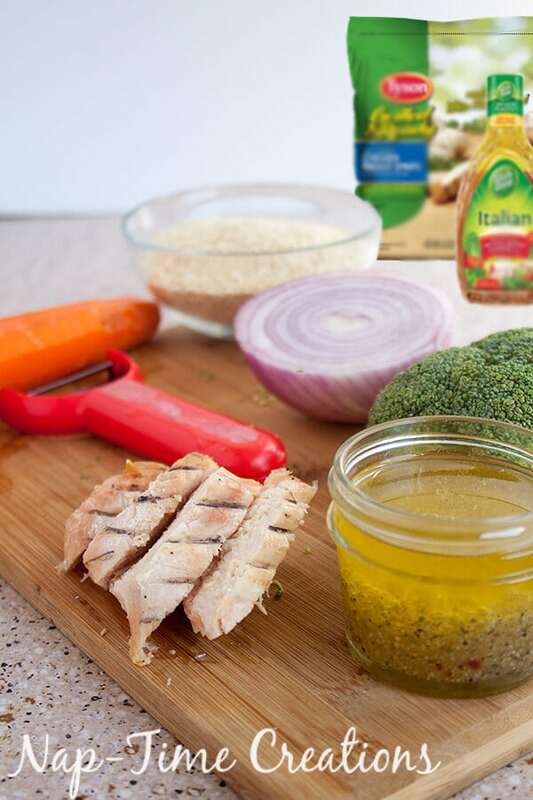 I picked up everything I needed for this tasty Italian Quinoa Chicken Salad at Walmart. So you win when you buy both together!! I use Tysons Grilled and Ready Chicken in so many different ways – yum. 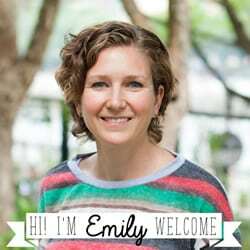 I can’t wait to try your Quinoa Chicken Salad! Looks delicious. Quinoa has become so popular all of a sudden, it seems to be everywhere! I don’t think I ever heard of it before 2 years ago or so. Quinoa can really make your meals a lot healthier. This looks really delicious and has a very unique presentation. 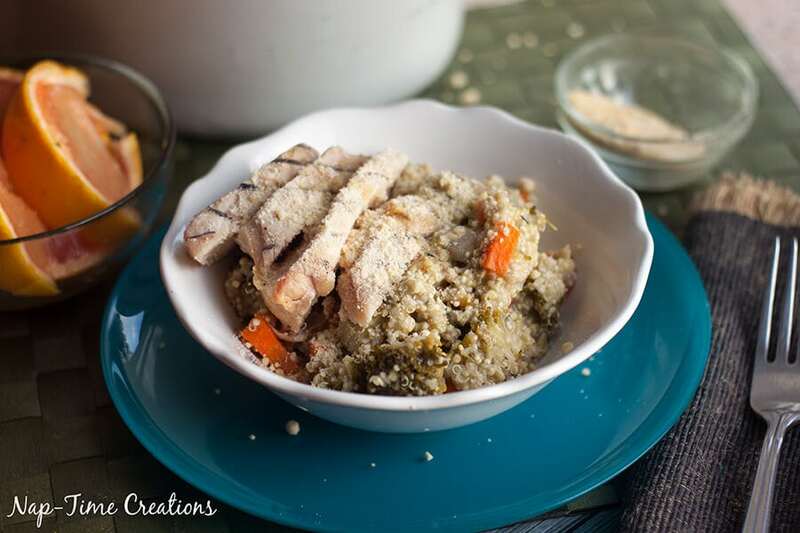 I’m crazy about quinoa and can’t wait to try your slow cooker method. It sounds wonderful and so easy! 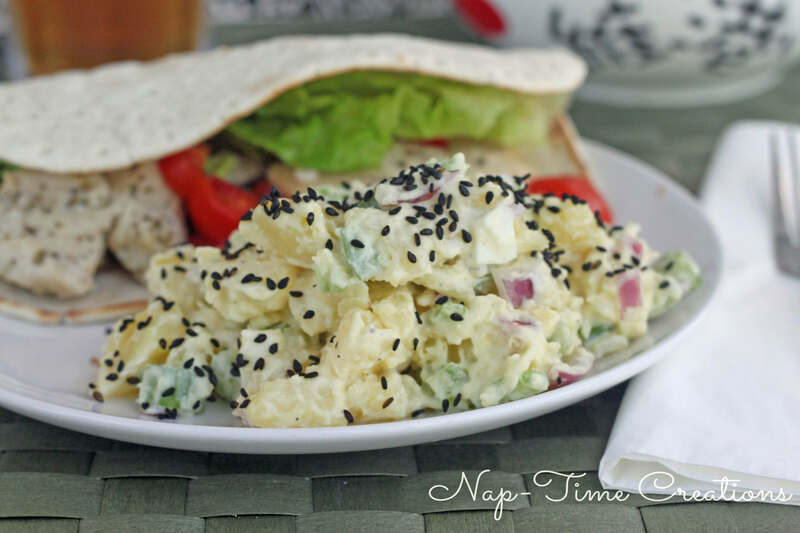 This chicken salad looks and sounds so delicious! I’d love to try this recipe. I love the convenience of the Tyson grilled chicken! I love quinoa and eat it a lot cause I watch my weight everyday and it’s better then eating rice. I’m loving your Italian recipe. Thanks for sharing. I’ll pin it and make it soon. yum.e.!!!! 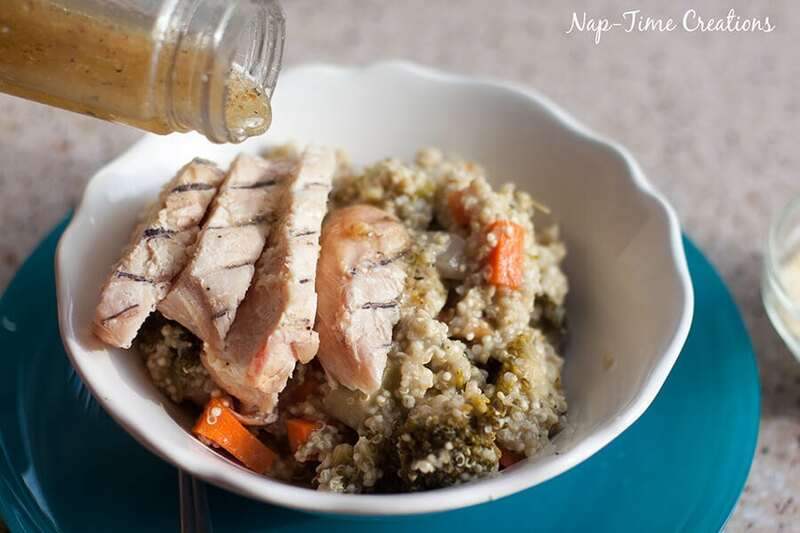 i’d replace that chicken with some tofu but i loooooove some quinoa! Those food are so yummy and tasty for sure! I’m going to cheat on my diet LOL. I’d love to try it at home. 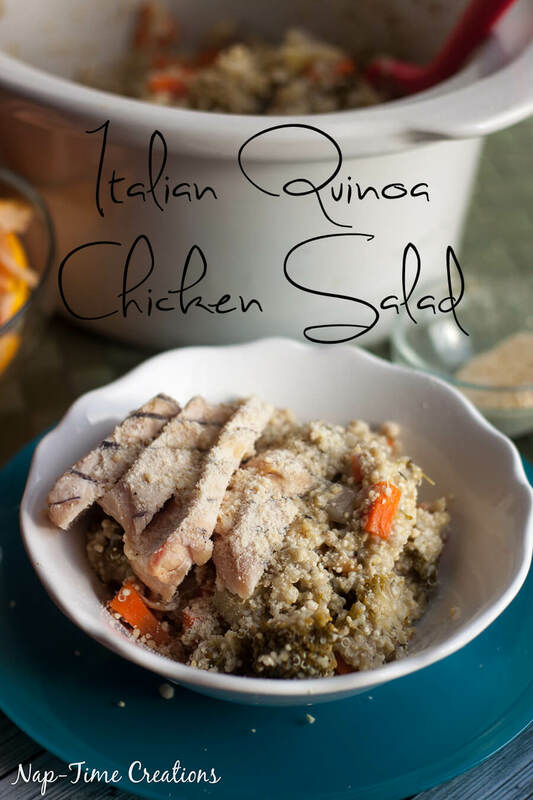 I love quinoa and I am seriously in love with my slow cooker so this is brilliant! I love that you can just whack it on and it sorts itself out. I just love how easy it is to use Tyson Grilled & Ready. They are so great for salads and all kinds of things. This looks amazing! This sounds so good!! I love Quinoa and it also make meals a lot healthier. I’m always scared of dishes that call for quinoa ,but this looks delicious. 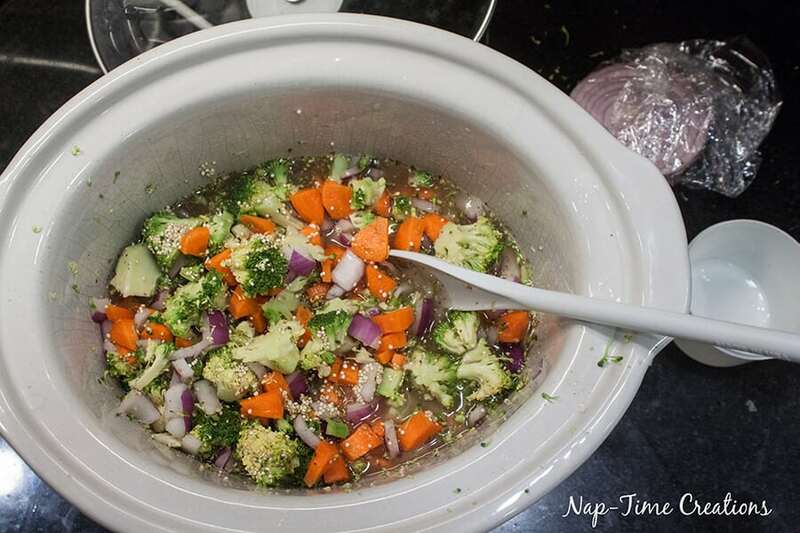 I’ve never tried Quinoa in the crockpot, but I think I’m going to remedy that soon! This salad looks so healthy and delish. Thanks for sharing this with us on Throwback Thursday last week!